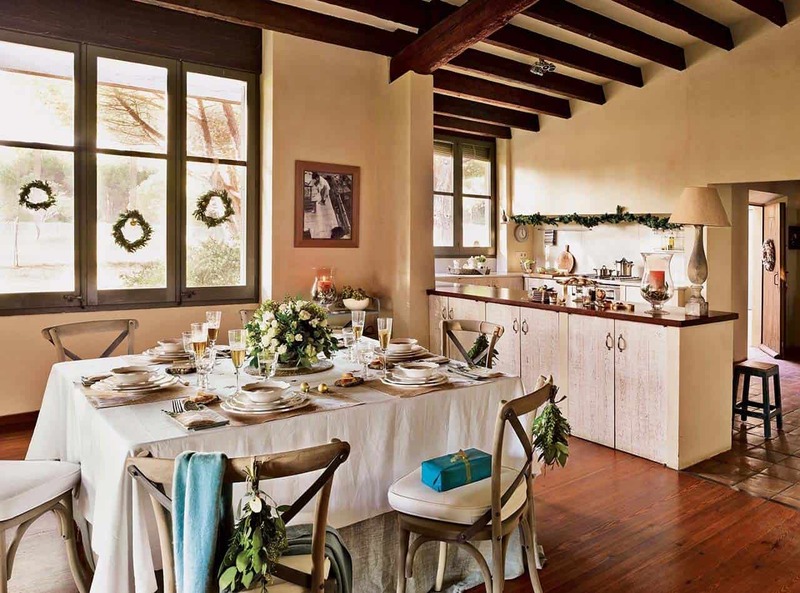 Surrounded by warm sunshine, this country house lives in the magic of Christmas, located in the Empordà, a natural and historical region of Catalonia, Spain. 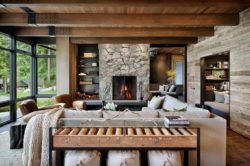 The design of this home is inspired by traditional farmhouses, adorned with natural and rustic holiday decorations of branches and fruits that the family has gathered from theirs walks in the forest. Like the home itself, the decorations fuse with nature. 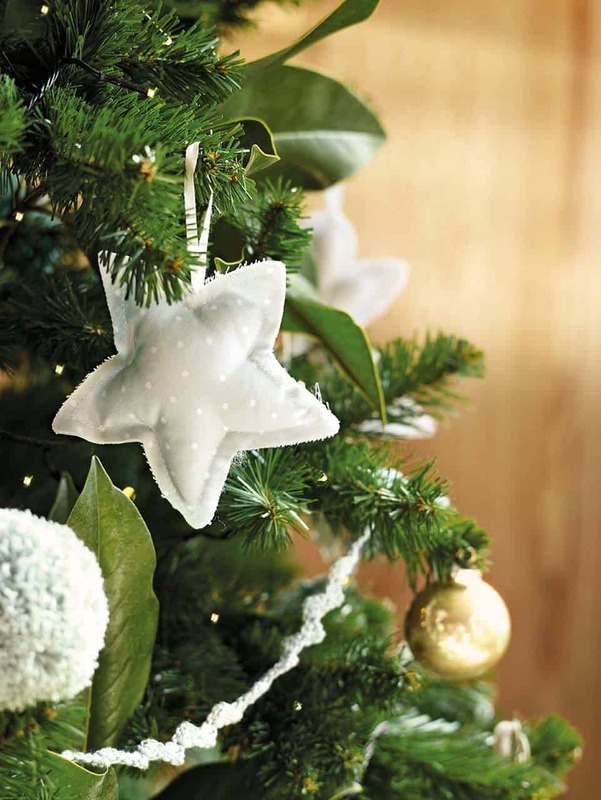 The Christmas tree is decorated with white decorations instead of red. 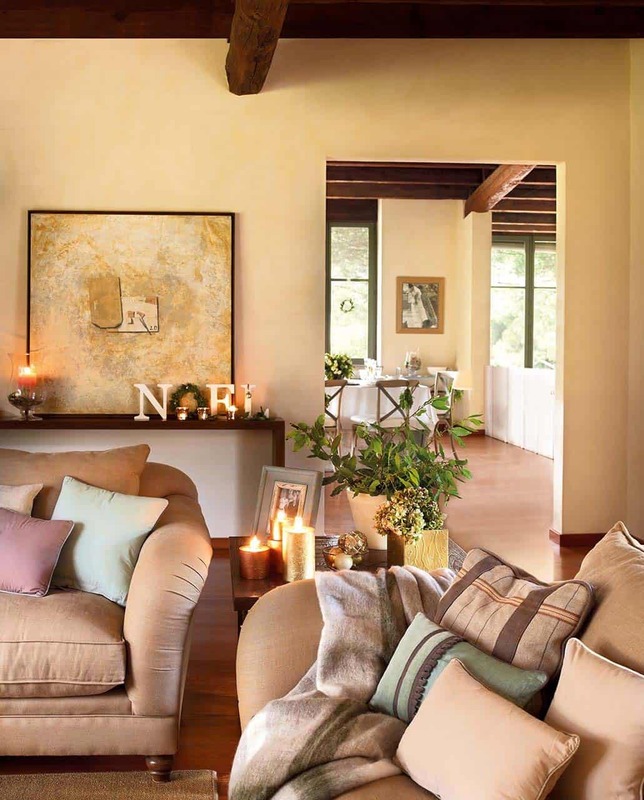 The desire to bring light into the home was the focal design concept of this family holiday retreat. Built twelve years ago, this home is used as a summer and weekend getaway throughout the year. All the interior living spaces open to the porches that surround the house. 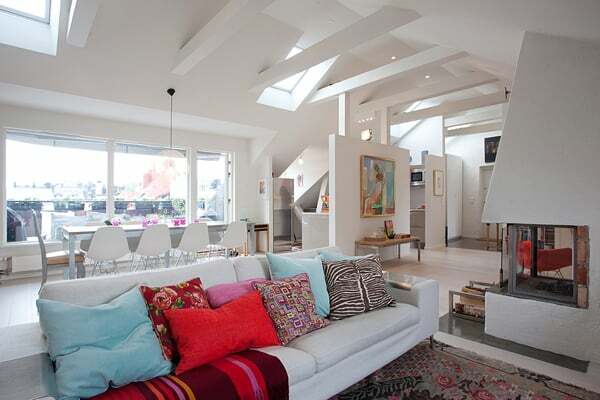 In the living room, expansive windows and a sliding door helps to the illuminate the space with natural light. 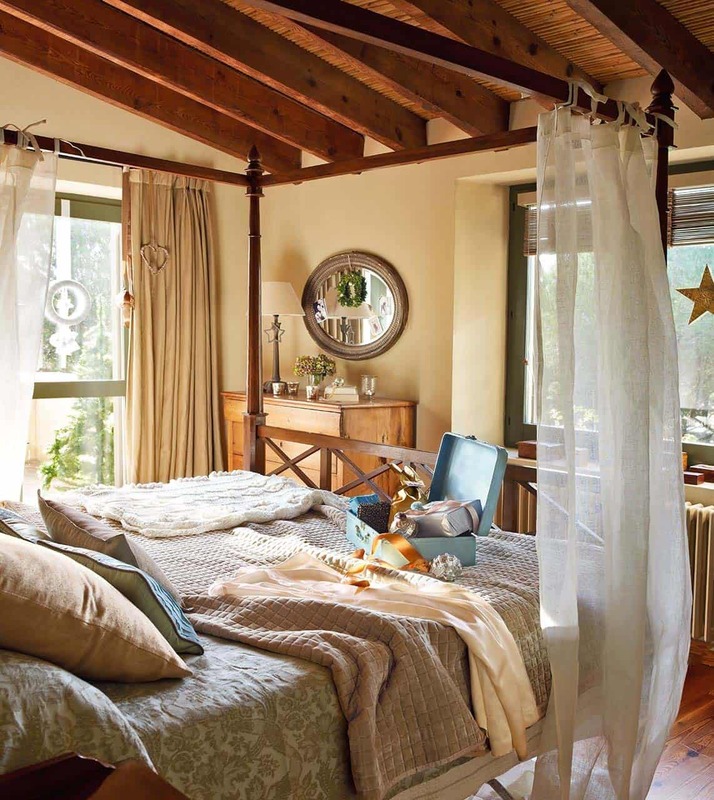 Rolling shutters in the windows and porches helps to regulate the clarity and desired light, both in summer and winter. The homeowners most favorite area is the inner courtyard, around which all the rooms are organized. It is an excellent source of light, during the summer it is cool and shady and during the rest of the year, protected from the wind. 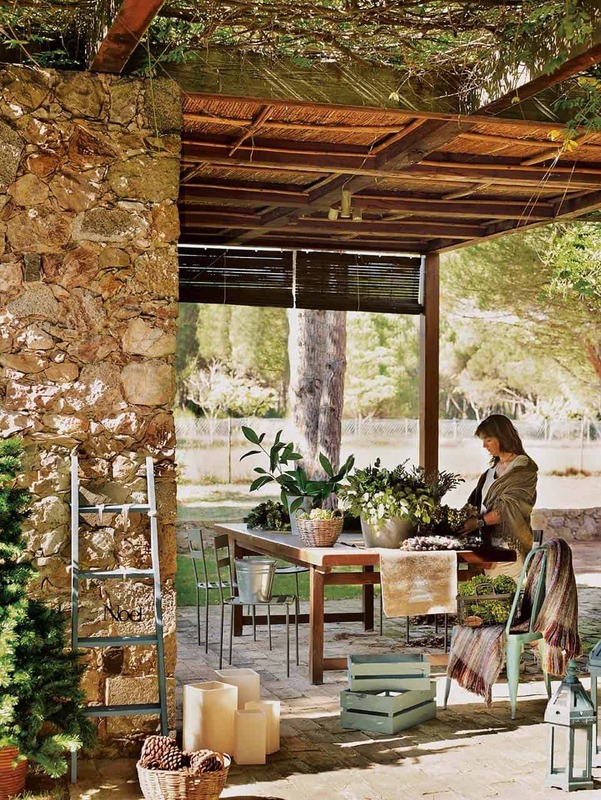 The home is surrounded by a garden and embraced by a forest, from which come many of the natural materials the homeowner uses for festive decorations. 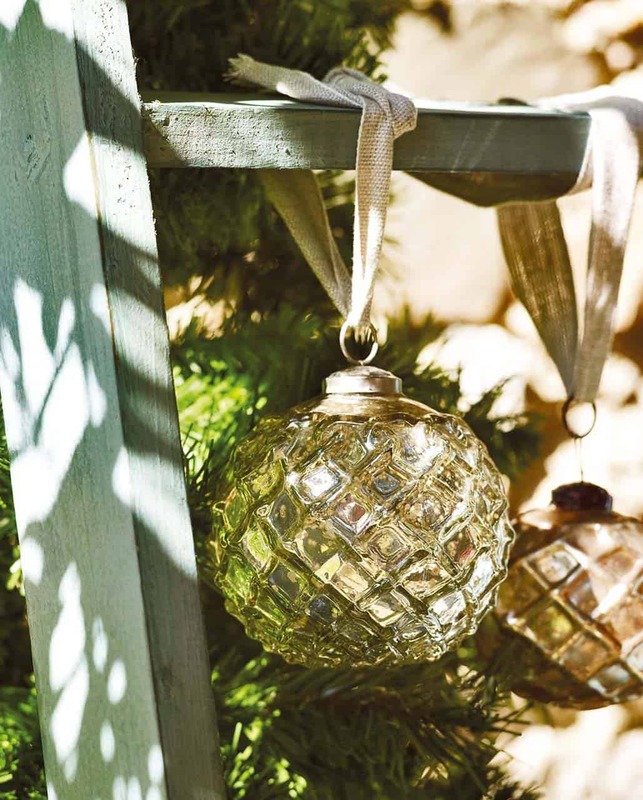 Collected during walks, items include: boxwood crowns, eucalyptus clusters, or magnolian branches, which have been added to the Christmas tree. This year they wished to make their Christmas theme more unusual, without much red and very much linked to nature, just as their house is. Another key element was to make living spaces comfortable to enjoy spending time relaxing with family and friends. 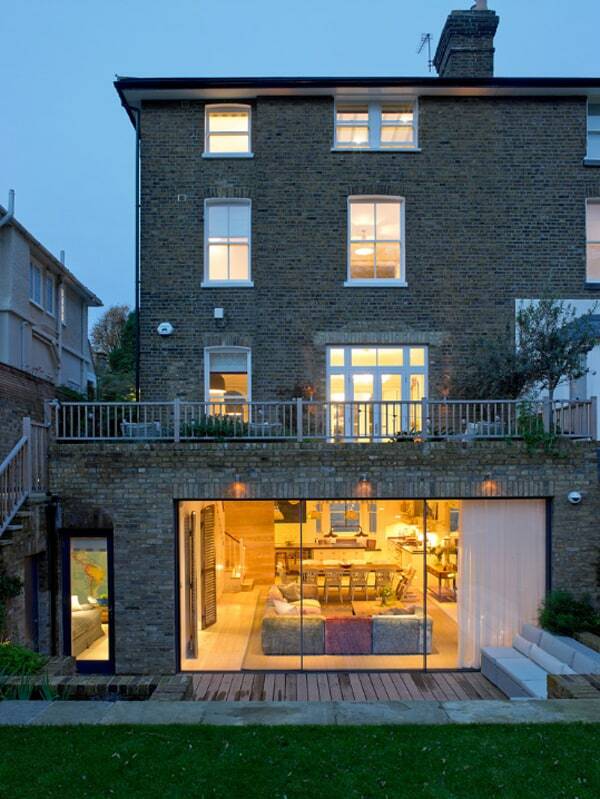 Comfort was the second important idea for designing this home. 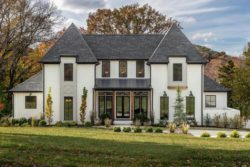 With spacious porches with living and dining areas, a large living room with sofas grouped around the fireplace and an open plan kitchen and dining area with access to the outside. 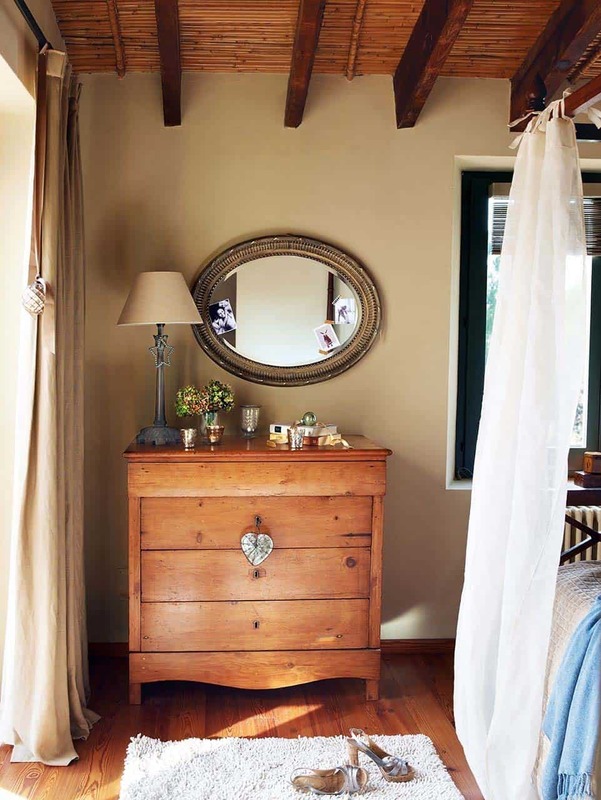 Bedrooms are clothed with natural fabrics, for texture, warmth and added comfort. The interiors are characterized by whitewashed walls with cream-colored natural pigments and a warm Iroco wood flooring (African teak). 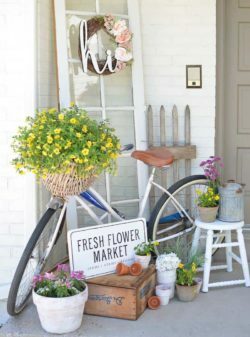 The homeowners were inspired by the traditional style of the farmhouses in the area, however priority was given to functionality to make life easier. 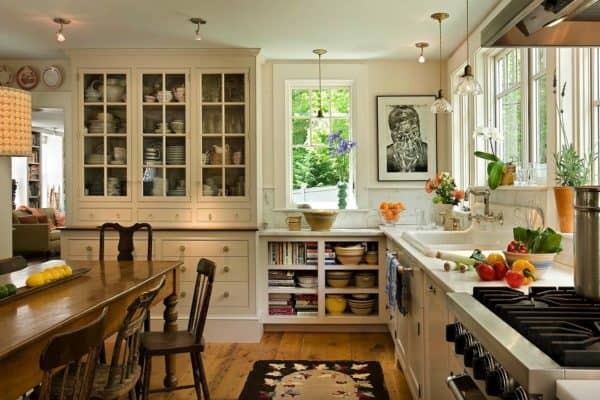 Additionally, they often enjoy entertaining, so much detail was given to decorating these spaces. 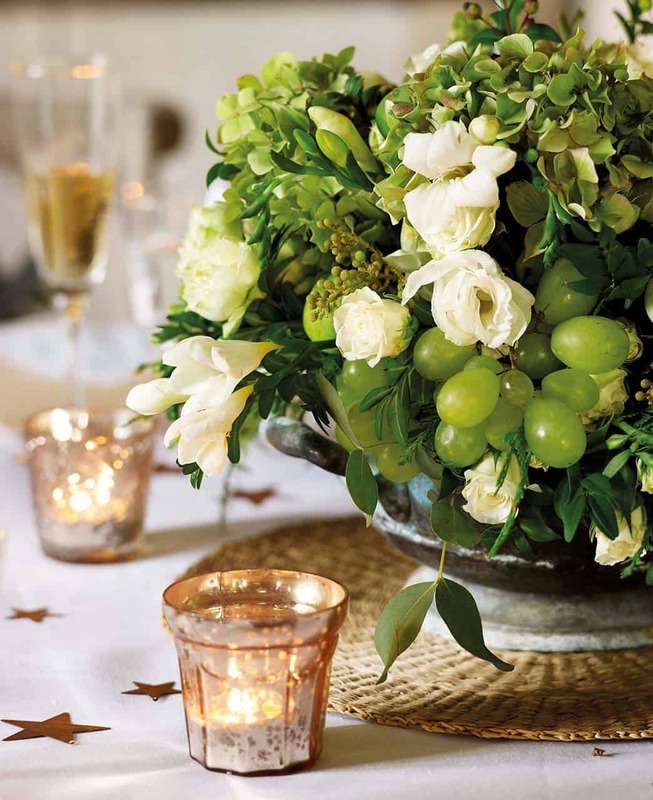 An old tureen serves as a floral center, in which grapes and figs are mixed with hydrangeas and roses. 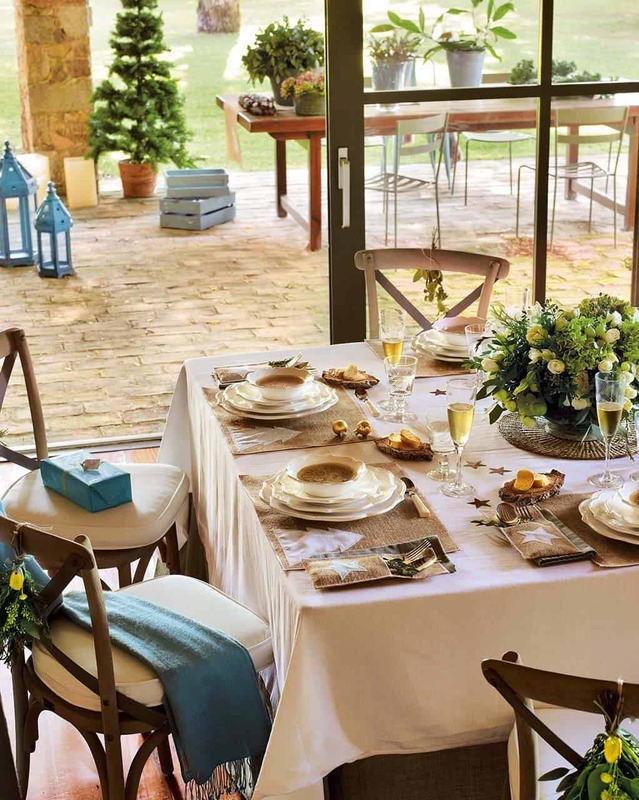 Cutlery is presented in individual bags of sackcloth, and from the back of each chair hangs a bunch of eucalyptus and box with the initial of each diner. 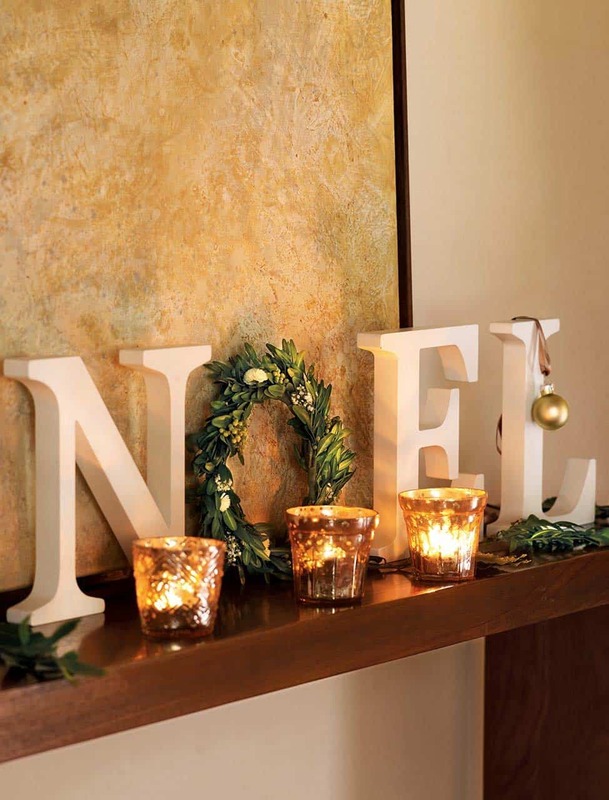 What We Love: This Christmas decorated country house is full of charm and personality and plenty of natural elements, making it the perfect holiday home. 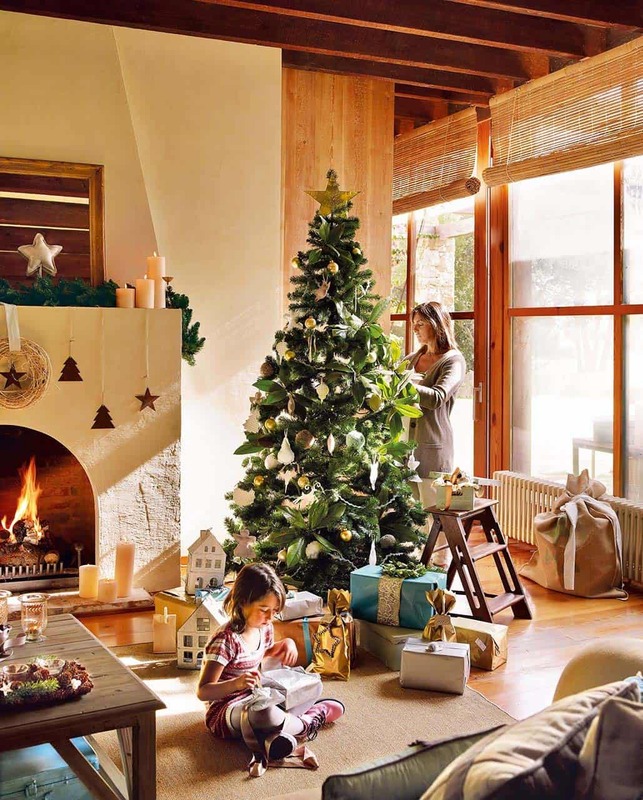 From the beautifully decorated Christmas tree that is so fresh and natural to the gift wrapped presents and centerpiece displays; everything is magnificent. 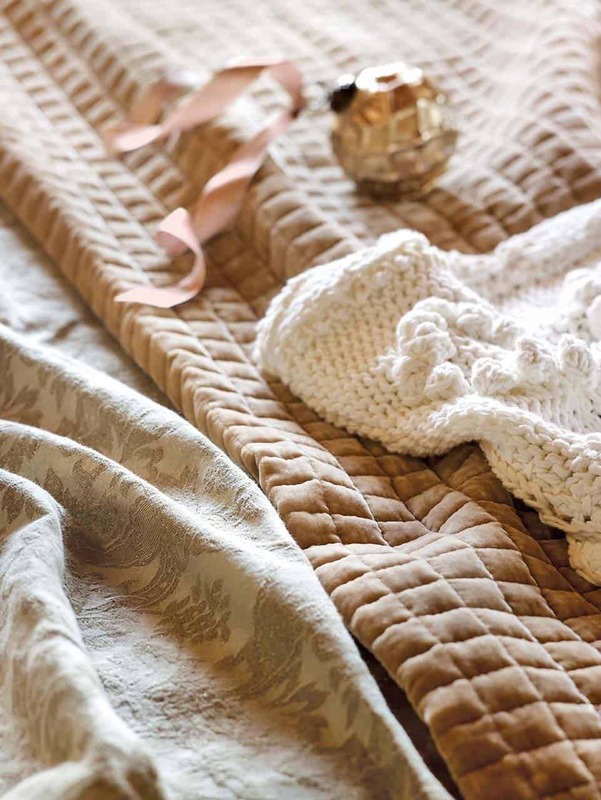 Cozy, warm and full of luminosity. 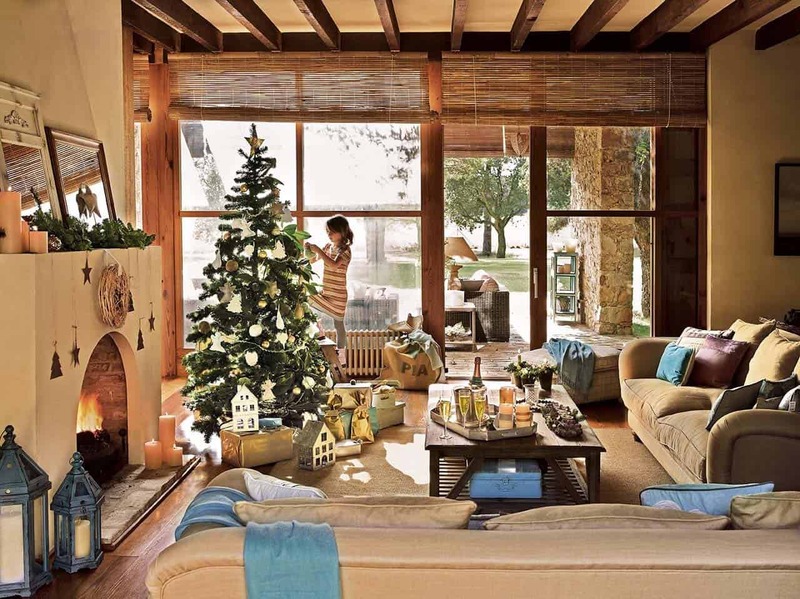 Readers, what are your thoughts on this holiday decorated Spanish country house? 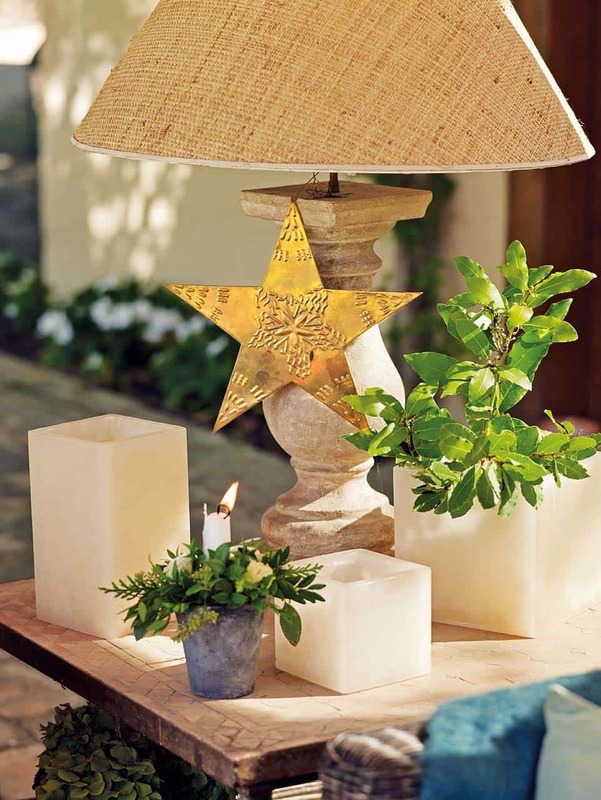 Looking for more Christmas inspiration? 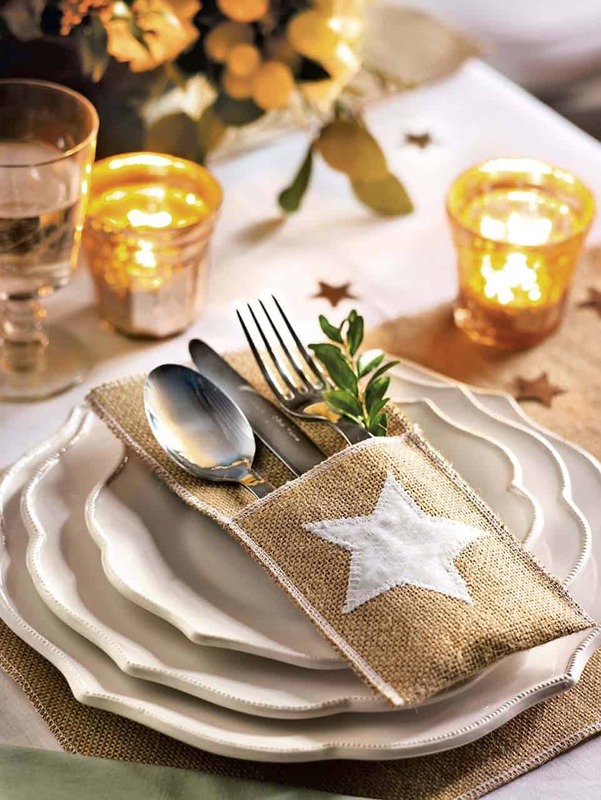 Have a look through our Christmas Inspiration category for plenty of amazing ideas!